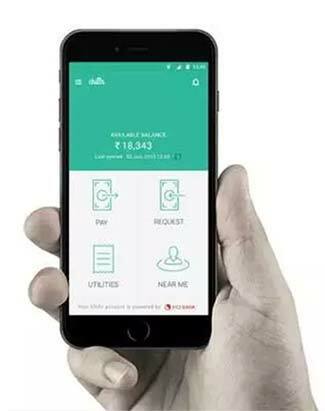 Chillr, a peer-to-peer money transfer and recharge app, has completed its Series A funding round by raising capital from Blume Ventures, Uniqorn Ventures and other investors. Chillr raised $7 million (Rs 46.7 crore) in this round, which was led by Sequoia Capital. Techcircle.in had reported Sequoia's investment in Chillr two months ago. Chillr, owned by Mumbai-based Backwater Technologies Pvt Ltd, would use the funds to upgrade technology infrastructure and for customer acquisition. Queries sent by Techcircle.in to Chillr on the fresh investment went unanswered by the time of filing this report. Sony Joy, CEO of Chillr, could not be reached for comment. Investment bank o3 Capital acted as the exclusive advisor on the transaction. Launched in December 2014 by Sony Joy, the Chillr app allows users to transfer money to any contact in their phone book. It also allows recharge of prepaid mobile phones, DTH TV subscription and data cards. It is directly linked to the customer’s bank account and, hence, eliminates the need for a prepaid wallet. All transactions are authenticated by a four-digit MPIN issued by the bank. Backwater is a wholly owned subsidiary of MobME Wireless Solutions Ltd, a mobile technology services company that also backs Kochi-based incubator Startup Village. Backwater was set up in December 2014 with seed funding of $1 million from its parent. Chillr was incubated in MobME for a year before being spun off as a separate entity. In July, Mumbai-based LivQuik Technology (India) Pvt Ltd, which owns QuikWallet, raised $1.6 million in follow-on funding from existing investor Snow Leopard Technology Ventures. In February, Bangalore-based Momoe Technologies Pvt Ltd, which operates under the brand Momoe, secured $1.2 million in a seed round of funding led by IDG Ventures and Jungle Ventures with participation from India Quotient. The major players in India’s P2P payment space are Oxigen and iKaaz’s MOWA. Online recharge and mobile wallet app MobiKwik also enables P2P money transfer using its wallet while e-commerce company Paytm launched its P2P money transfer service in July. Earlier this week, Blume Ventures invested an undisclosed sum in a pre-Series A round into Gurgaon-based Zenatix Solutions Pvt Ltd, an Internet of Things (IoT)-based energy management startup. Last month, Blume in a pre-series A funding round raised by Signure Technologies Pvt Ltd, which runs Bangalore-based event marketing and ticketing platform Explara. In October, Uniqorn Ventures participated in a $700,000 seed funding round raised by Pune-based DocPlexus, a social networking platform for doctors. In September, Uniqorn invested $350,000 (Rs 2.3 crore) in seed funding into Zakoopi Infotech Pvt Ltd, a New Delhi-based company that operates offline apparel discovery platform Zakoopi.